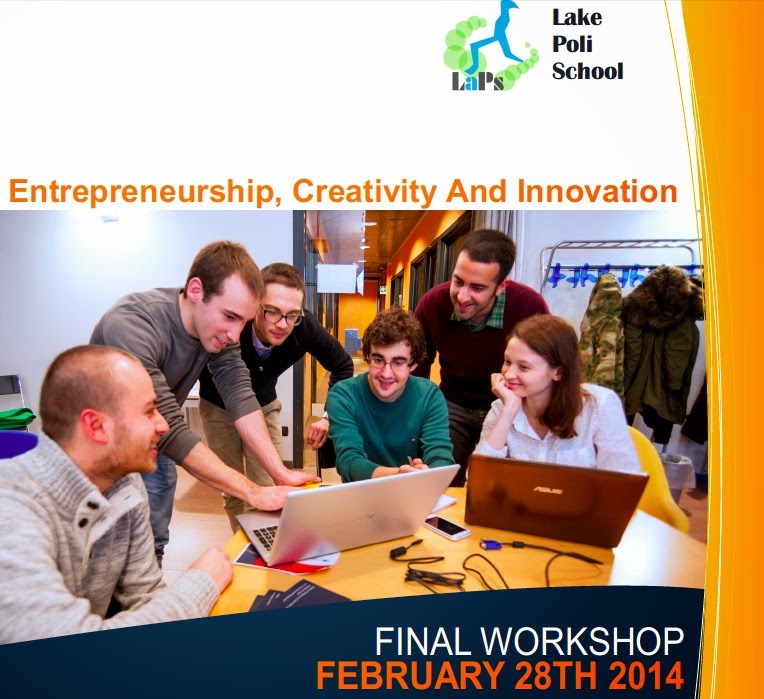 On Friday February 28, 2014 the Como campus of Politecnico di Milano hosted the final workshop of the Lake Poli School (LaPS). Lake Poli School was born to address integration between universities and companies, alignment between higher education training and external needs, and cross-disciplinary interaction between students from different cultural background. LaPS is providing an interesting arena of interaction and collaboration between students, companies, teachers and researchers on issues which have emerged as relevant in the last years. LaPS is connecting students coming from different disciplinary courses: Environmental Engineering, Computer Science and Engineering, and Management Engineering. Development of a business case in which a selected group of international students work with companies, guided by Politecnico’s research fellows. Seminars on ‘hot’ issues as Creativity and Innovation, Networks, Ethics and Social Responsibility. A final workshop to award the best group and the most entrepreneurial work. During the final workshop, one project has been selected by the jury and one project by the public and the two best projects for 2014. Some videos are available on YouTube regarding the preliminary presentations of the groups given in December 2013 too.